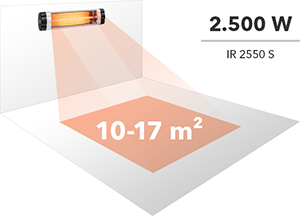 With the telescopic tripod, the infrared heater is easily positioned. Set up the tripod and simply pull the telescope segment to the desired height and fix it. 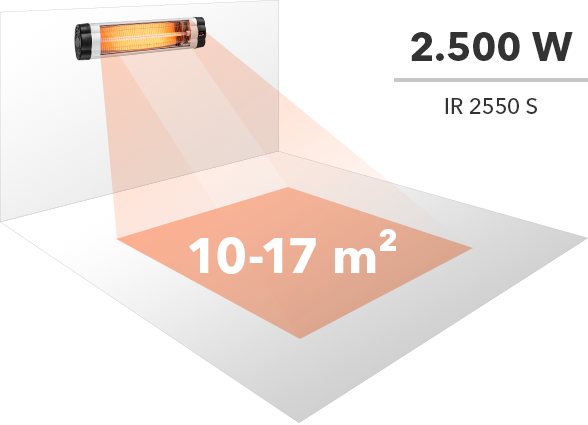 Thanks to the telescopic tripod, the infrared heater can also be used as a free-standing model.